Offering you a complete choice of products which include gherkin vibratory feeder screener, vibratory screener feeder with dust suction unit, vibratory feeder and vibration grading machine. 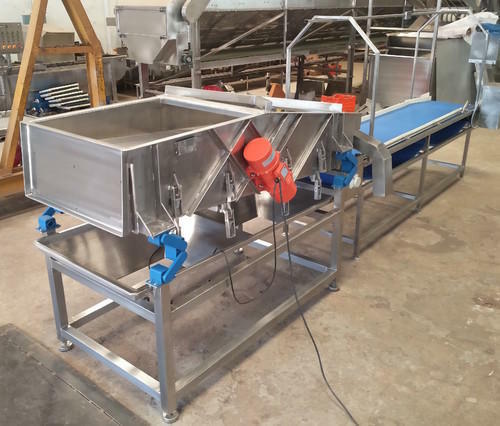 We are instrumental in offering our clients a high quality range of Gherkin Vibratory Feeder screener. The offered screener is meticulously tested on different quality parameters to assure its quality and performance. Provided screener is manufactured by utilizing optimum quality raw-material and the latest technology by our experts. 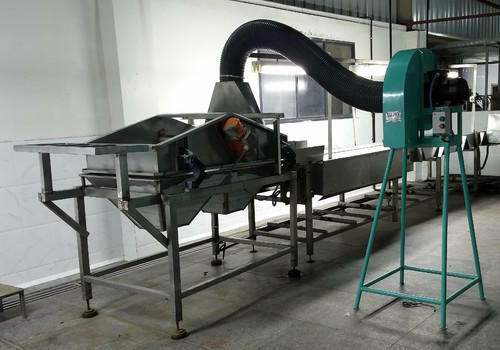 Finding applications in food processing industry, this screener is used for cleaning of vegetables. In line with industry standard, we provide this screener in various customized options and at affordable prices. We feel immensely pleased to offer an exclusive gamut of Vibratory screener feeder with Dust suction unit at cost effective price. Our offered unit is manufactured utilizing best quality raw-material and highly developed technology by our skilled professionals. In order to ensure quality, this unit is rigorously tested on different parameters. Apart from this, we provide the entire range in different sizes, as per the requirement of our prestigious clients. 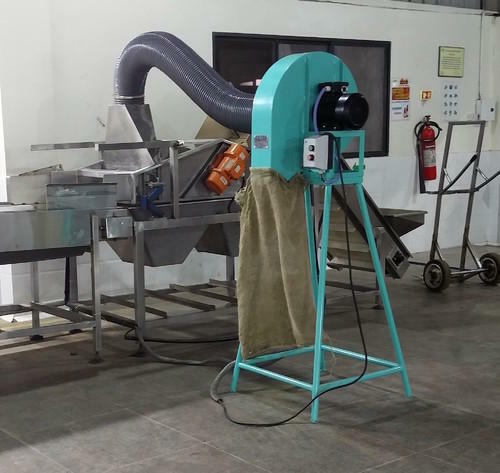 Backed with the team of adroit professionals and sophisticated techniques, we are engaged in offering a wide gamut of Vibratory Feeder. mainly used in Gherkin processing,food and breverage industry to screenout all forign particals, seregation, grading, de-watering etc,. The offered range is enormously used for perfect screening of sand, gravels, stone and other bulk material. The offered Vibratory Feeder is designed and fabricated by our team of dexterous technician and engineers with the help of advanced technology and components in compliance with the set international standards. By keeping track with the market development, we are offering optimum quality Vibration grading Machine. Our offered shaker is extensively appreciated by our prestigious clients for its precise design and durability. This shaker can also be availed in different sizes, designs and other related specifications. Our provided shaker is manufactured by a team of our adept professionals utilizing quality approved raw material and advanced technology. We offer this shaker at market leading rates. 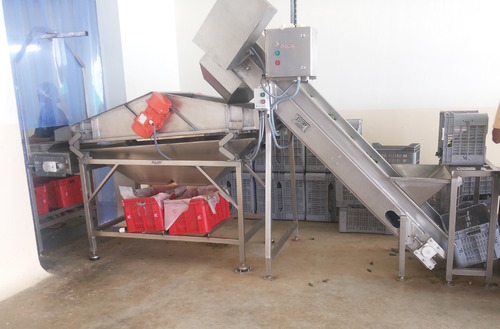 Mainly used for grading and sorting of fruits and vegetables. Looking for “Vibratory Screener Shakers And Graders”?